AFK-fund will support Operafront for two years! Today's in the Mayor's house, the AFK-fund (Amsterdams fonds voor de Kunsten) nominated Operafront's artistic leader and director Lotte de Beer for the "Amsterdamprijs voor de kunst" in the category "bewezen kwaliteit" (proven quality)! Lotte de Beer was represented by Clement & Sanôu at the announcement of the nomination. Tickets sale Traviata Remixed has been started! The young Dutch director and Operafronts Artistic leader Lotte de Beer won an International Opera Award in the Cathegorie "Newcomer". Così fan tutte at the Grachtenfestival 2014! 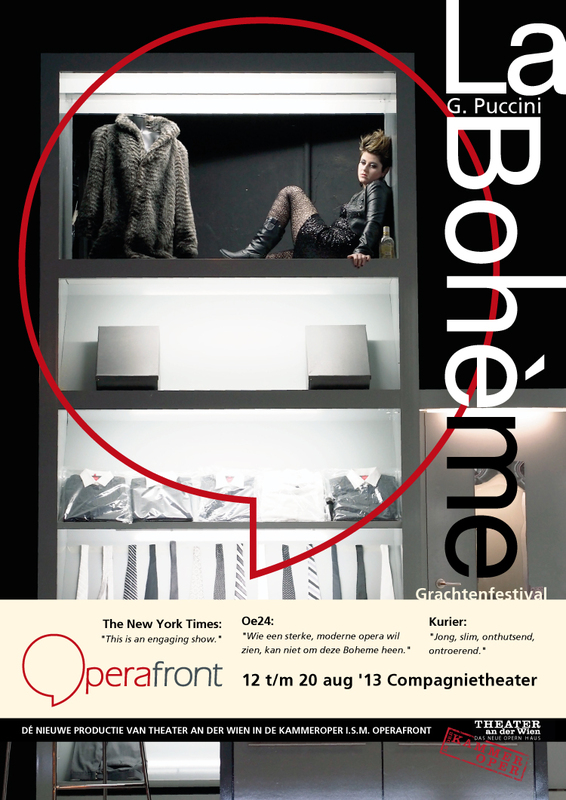 Premiere on 16 aug.
After the succesful performances of La Boheme, Operafront continues their collaboration with the Grachtenfestival at the Stadsschouwburg Amsterdam. Così fan tutte in a daring new concept will be performed from the 16th until the 23rd of august. 17 aug La Bohème première on the Amsterdam Grachtenfestival 2013! The new production of Theater an der Wien in der Kammeroper & Operafront! So jung, so klug, so heutig, so verstörend und berührend kann Oper auch sein. Die Rede ist von Giacomo Puccinis „La Bohème“ in der Wiener Kammeroper. Und zwar in der musikalischen Kammerfassung von Jonathan Dove, mit elektronischen Zwischenspielen der Komponistin Sinem Altan. In der Kammeroper sieht und hört man eine unmittelbare, von Kitsch oder gar Pathos befreite „Bohème“, die endlich im Jahr 2013 angekommen ist. Auch dank Regisseurin Lotte de Beer und dem genialen Ausstatter-Duo Clement & Sanôu, die Puccinis Drama ins coole Bobo-Milieu verlegen, die eine gelangweilte Pseudo-Kunst-Schickeria zeigen. Penthouse, Kaufhaus und Krankensterbezimmer – so direkt, so unverfälscht ist Oper selten. Opera Bites are live, mini 'appetizers' of our performances that show a tip of the veil of the full staged production. They are staged and designed to play on any imaginable location. You will find the movie clips on our website, youtube and you can catch them real live during street performances, train station performances, swimming pool performances etc! am // 13.30 PM // Press preview. 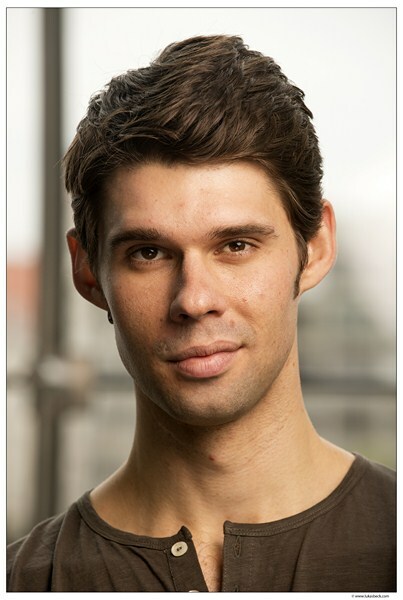 This Opera Bite is produced by Operafront with support of Het Kameroperahuis and the IT's Festival Amsterdam.